Christopher Bailey's passion for British music is no secret. Singers and band members have often graced the Burberry advertising campaigns and the show's front rows. Their music accompanies the latest collections down the runway and, lately, live performances take place at the brand's beautiful retail spaces – i.e. last week's Kaiser Chiefs gig – and even take the shape of surprise micro-concerts during the catwalk presentations. This season the Chief Creative Officer has found inspiration in British music for Burberry's latest eyewear collection – a stunning bright and colourful line of sunglasses and opticals in bi-colour combinations in-trend with this season's offerings but always with a modernity and timelessness only Burberry can achieve. The new campaign features three bands Burberry is introducing this season: Coastal Cities, The Night VI and Broken Hands. A track from each band along with super cool videos recorded on set in London serve as the campaign, which also features beautiful editorial shots from members of all three bands. 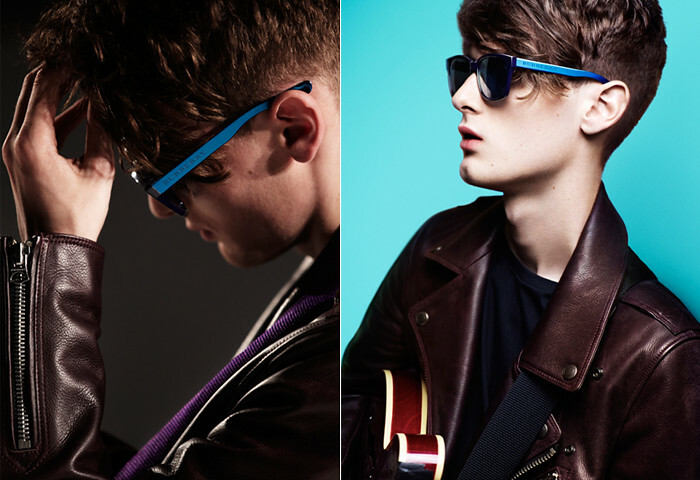 Keen an eye out for the super cool new shades and remember to have a listen at the bands' singles (click on their names above), they're the ones to watch!